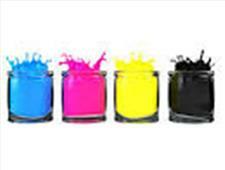 Printer Ink Now The Most Expensive Liquid! Home News Printer Ink Now The Most Expensive Liquid! It’s official! OEM printer ink is now the most expensive liquid in the world! San Diego, United States – PressCable - The title of the most expensive liquid used to belong to high end perfume like Chanel No. 5. The prize now goes to something that is a lot less fashionable....printer ink! At the current time, printer ink now costs approximately £0.40 per millimetre. To put that in perspective, human blood that is used to save lives in hospitals costs approximately £0.25 per millimetre and Dom Perignon champagne costs approximately £0.04 a millimetre.